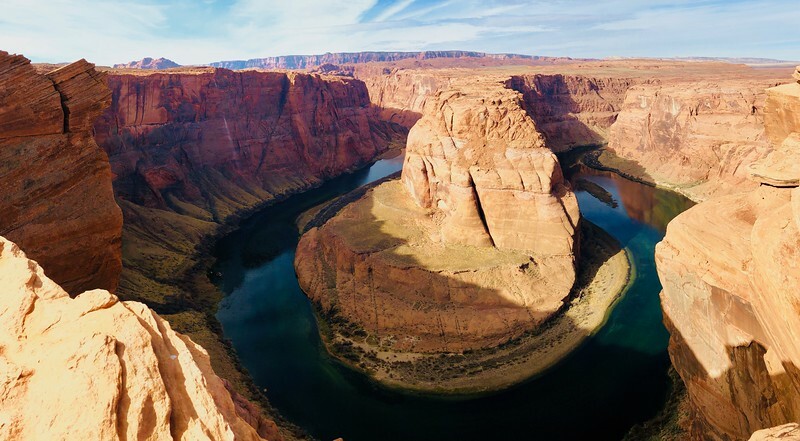 Horseshoe Bend in Glen Canyon National Recreation Area , Arizona. The Colorado River winds its way down through the canyon. If you would like to purchase this print, please click on the image to purchase. It will open www.hsestes.photography shopping site, and you will be given size and print/canvas options to choice from. Note that some sizes may require cropping.